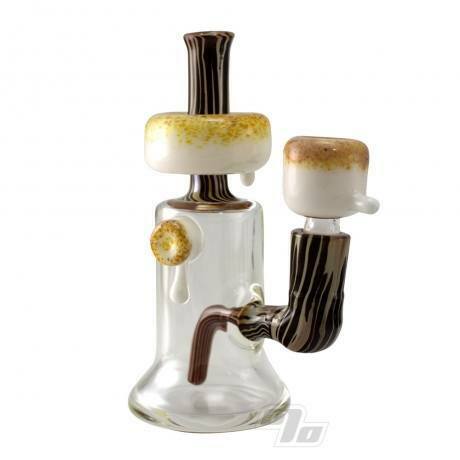 The latest Mallow glass creation from Danny Camp is this dual purpose Mini Tube. With a unique fixed wood grain downstem and 14mm female joint, 2 hole diffuser and matching marshmallow flower bowl. Mallow thumb rest for secure grip and comfort. 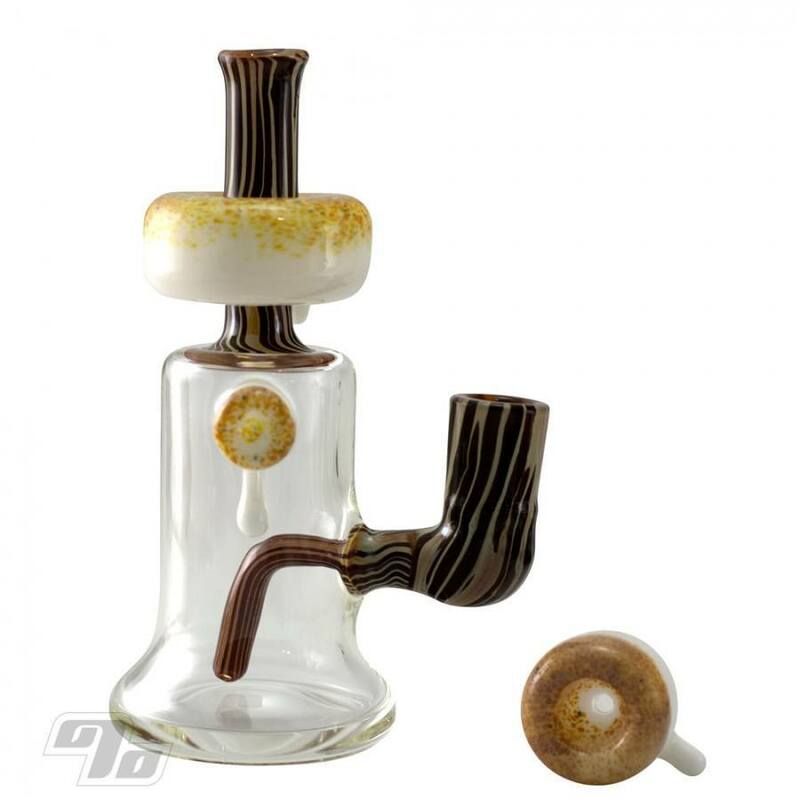 This Danny Camp Mini Tube measures up at approx 6.5 inches tall and 2.75 inches diameter at base. 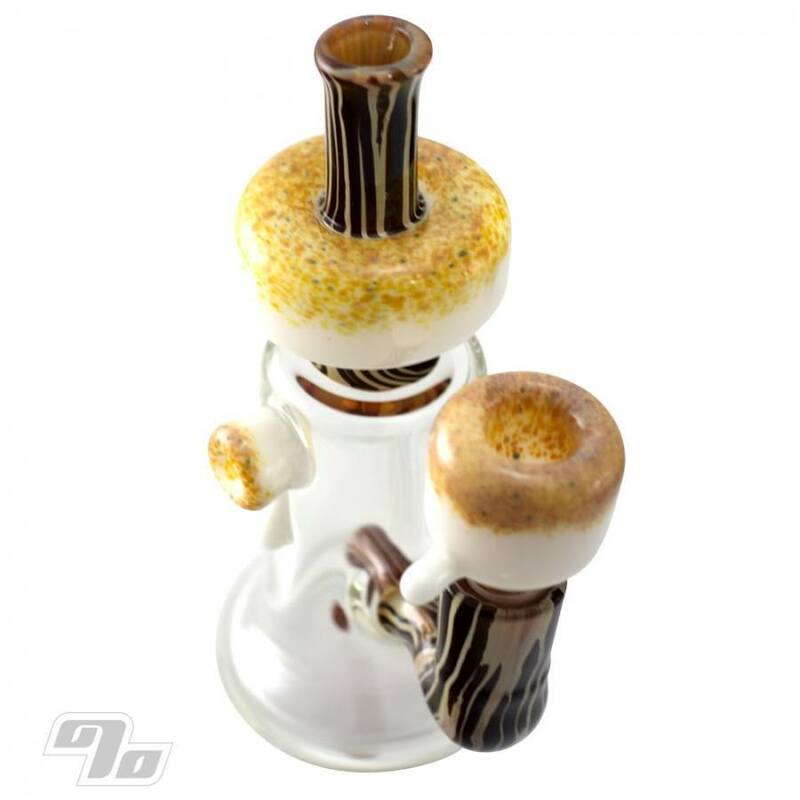 Marshmallow charring and wood grain will vary slightly as each mini tube is a unique piece. Toasty all around. Best part about this piece is that you can use this anyway you want. Perfect little waterpipe with the included flower bowl. Switch it up and add a quartz banger (14mm Male) or D-Nail vaporizer and use for concentrates. Clean it out and switch it back anytime you feel the need.